GOKPOP | Exclusive K-News in Malaysia & Singapore: November New Drama Alert: Bravo My Life, Nothing to Lose, Doubtful Victory coming soon to ONE HD! November New Drama Alert: Bravo My Life, Nothing to Lose, Doubtful Victory coming soon to ONE HD! Expect new sensational drama - 'Bravo My Life', 'Nothing to Lose', 'Doubtful Victory' and variety series - 'Law of the Jungle in Cook Islands', 'The Show: Fan PD' to hit your TV screen on ONE HD (Astro Ch. 393)! Sets in the world of television drama production, Bravo My Life revolves around a love triangle that brewed between Ha Do Na (played by Jung Yu Mi), an assistant director with a stagnant career and two of her love interests, Kim Bum Woo (Hyun Woo), an actor who is struggling to debut, and Shin Dong Woo (Yeon Jung Hoon), an arrogant workaholic. Be sure to also catch Park Eun Bin “Nothing to Lose” as she plays a judge who abuses her authority and who struggles to reveal the truth about her brother who she is accused of framing for murder. When two judges with temperaments of extreme ends faced with a complex case and stakes get personal, how will they each handle the situation and work out a solution despite their contrasting viewpoints? Not to forget Yoon Kyun Sung's upcoming drama “Doubtful Victory” as he plays a framed ex-convict and prison escapee, Il Seung who becomes a fake detective that becomes a part of Metropolitan Investigation Unit. Il Seung, whose name means ‘a victory’, felt anything but victorious after being wrongfully put a death row. Given a chance to take on a new identity as a detective, will Il Seung win the race against the odds to rewrite his life? Don’t forget about the variety shows airing on ONE HD! Be the first to see the return of Kim Byung Man’s return from his injury, in “Law of the Jungle in Cook Islands” and “The Show: Fan PD” where you can watch passionate K-Pop fans produce the perfect entertainment program based on their beloved idols' strengths, talents, and unique humour. 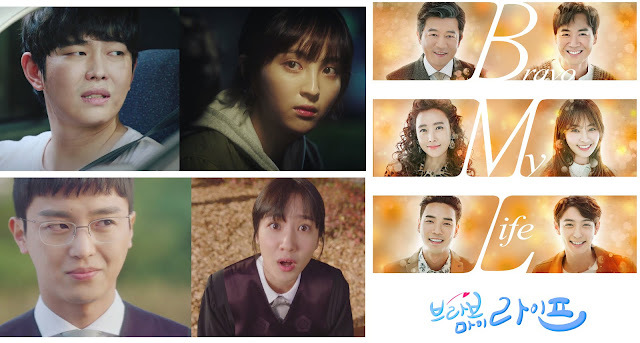 Last but not least, you wouldn’t want to miss out the finale of “While You Were Sleeping” on 16 November at 9.00pm, same time as Korea; and “Temperature of Love” on 28 November at 6.55pm!